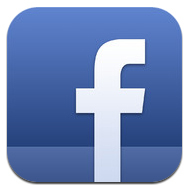 Back in November, 2012 Facebook announced the Social Jobs Partnership. It is a collaboration between Facebook, the U.S. Department of Labor, the National Association of Colleges and Employers (NACE), DirectEmployers Association (DE), and the National Association of State Workforce Agencies (NASWA). Together they aim to facilitate America’s job market through social media. This is Facebook’s foray into the recruiting industry (even though the company officials say they are not entering the market but that’s pretty far fetched) using their well established network. Clearly, they aim to catch up on LinkedIn’s success of catering a network and job board for post college professionals. LinkedIn has a user base of 175 million professionals. Facebook’s total user base is over a billion but they can certainly slice their population to target certain demographics and types of users. Its an interesting shift as new younger job seekers are more social network oriented than ever and would be comfortable seeking for jobs on such platforms. Facebook seeks to capitalize on that by allowing users to search for jobs according to location, industry and skills and apply directly through Facebook where their profile already exists. Then they can share it with others although I am not sure what the benefit of that would be. I for one, keep my applications private and I would image so do many others. Facebook does not and people might not want to mix their professional life with their social life. The area where Facebook might actually have an upper hand is in the bottom line, fresh college graduates and younger people looking for jobs. They might not care where the job comes from and a Facebook job board would be easier and quicker to jump into. At the same time, there has to be companies willing to recruit through Facebook. Right now Facebook does aggregate over 1.7 million jobs through Work4 Labs, Branch Out, JobVite, DirectEmployers and Monster. I tested out the system, and as it stands now, I actually had a confusing and negative impression. They have a lot of optimizations and feature addition left to do. You first have to put in keywords, location, category and subcategories to initiate the search. Afterwards you have to select one of their five partners to see the results – they are not all displayed together as you would expect. It is kind of silly since they overlap each other but you have to go through all of them similar to just searching through those sites on your own. The location search is all kind of messed up at the moment which surprised me given how much advancements Facebook has done with locations. I searched for jobs near Minneapolis and ended up with results in Washington. Thats 1500 miles away when I searched for jobs within a 20 mile radius. 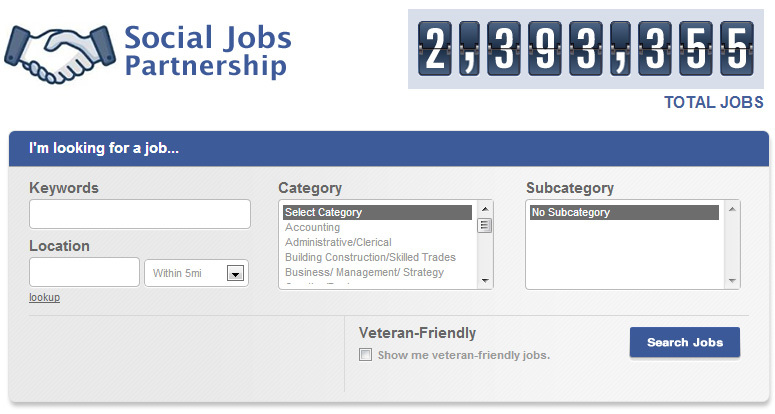 Lastly, clicking to apply for a job actually takes you to different systems as used by the job board partners. As of right now, their job board is half baked. Since they actually have not done a huge push to advertise it yet – it leads me to believe they are not ready to show it yet. Probably performing much needed upgrades in the back. All that being said, Clearly, Facebook does not want to be left out to social ventures that will bring in more revenue and they are trying to set it up. Sites like Monster has been losing shares steadily as LinkedIn is becoming the go to site for job seekers. LinkedIn is the premier leader in the market at the moment so there is no reason why another company can’t step up to compete with them. And what better company than Facebook – the already established social network king. Fast fact: 82% of resumes are summarily rejected, even if you qualify for the job. While the reasons are many, the very first reason is this: the visuals are all wrong. No one will tell you that your resume is ugly. But if your resume is an assault on one’s vision the moment they open the file, they simply will move on to the next person. Too many instances of that, and your job search ends up being a long, frustrating endeavor. Before delving into the specific instances of ugliness and their corresponding 1-minute makeovers, I’ll emphasize that even the prettiest resume in the world, if founded on poor content, will still fail. The makeovers below are best applied when your content, experience, and achievements are strong, in order to visually engage the reader. All that said, let’s avoid the three ugly resume moves that are holding you back. 1) The Structure Is Strange: This happens when jobseekers strive to make their resumes look like they’re not cookie-cutter. While seeking uniqueness in your presentation is a worthy endeavor, avoid going overboard. An overabundance of design elements – multiple bullets, multiple shades of gray, tabs to the middle of the page, and tables with no real purpose, all add up to look like a circus. 1-Minute Makeover: Select two or three design elements, and use those either once or repeatedly. For example, use one style of bullets. Those can be in the expertise section at the top of your resume, and again in your experience section to highlight your achievements. Or, use one element of gray shading. That can be applied to your name and to every heading on the resume. 2) The Font Is Funny: Certain font choices do not promote reader engagement. Utilizing multiple or different color fonts breaks up the reader’s rhythm – and not in a good, attention-getting way – just in an ugly way. Particularly for candidates at the six-figure level, there should be no reason to rely on visual gimmicks such as this to hold the reader’s attention. 1-Minute Makeover: Choose one font that you find appealing, then vary it throughout your resume. For example, your name can be in all caps. The headings can be in small caps. The body can be in standard font. The company descriptions can be in italics. Additionally, restrict your choice of font color to basic black. 3) The Readability Is Rough: Experienced professionals typically have extensive history to present – ten years or more. However, just as in real estate the mantra is, “location, location, location,” in resume writing, the mantra is, “white space, white space, white space.” A resume without white space is just plain ugly. Furthermore, it hampers readability when the content is crammed onto the page. 1-Minute Makeover: Equalize your margins on all four sides of the page. Minimum should be ½”, standard is ¾“, and margins should be no more than 1”. In the body of your resume, skip lines and be consistent about it. For example, if you skip a line between the employer’s company name and your title, do so every time. Another visual enhancement is to use the paragraph spacing before and after feature in Microsoft Word to add space in between bulleted items. These 1-minute makeovers can do wonders for a resume that offers strong content but weak visuals. Keep the structure, font, and readability standard, then be creative and innovative in your content. That’s how to escape the resume ugliness and put forth a beautiful presentation that captures the right attention.